Behind the impressive façade of the 5 story building above there features a comprehensive display of Czech Republics technical achievements. 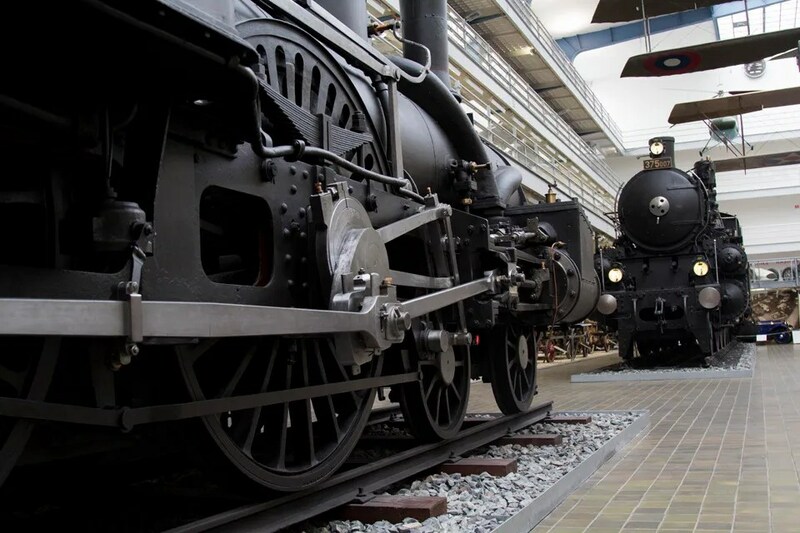 For over a hundred years extensive collections have been assembled in Prague’s National Technical Museum documenting the development of many technical fields, of the natural and exact sciences, and of industry of the Czech Republic. Naturally, the area that interested us most was the impressive transport hall. The establishment of the famous transport hall is down to one man, František Štýdl. František curated the collection from the late 1930s until 1962. 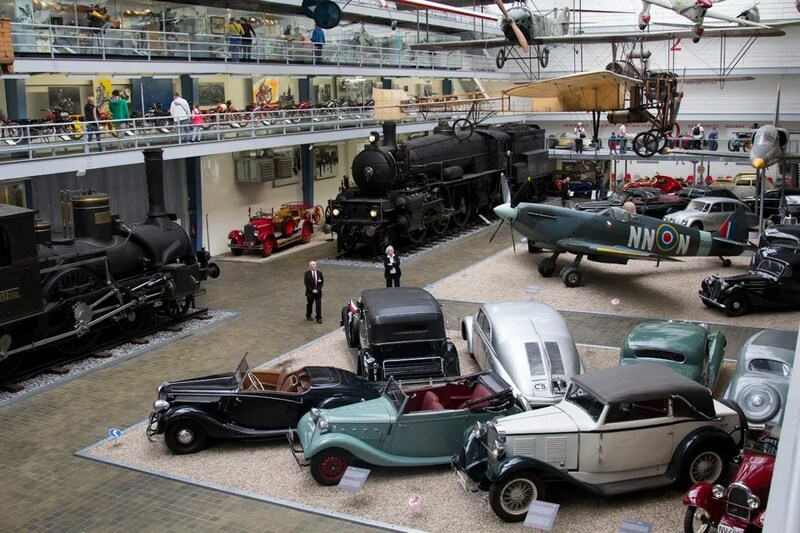 The transport hall in its current form has been open to the public since 1950. 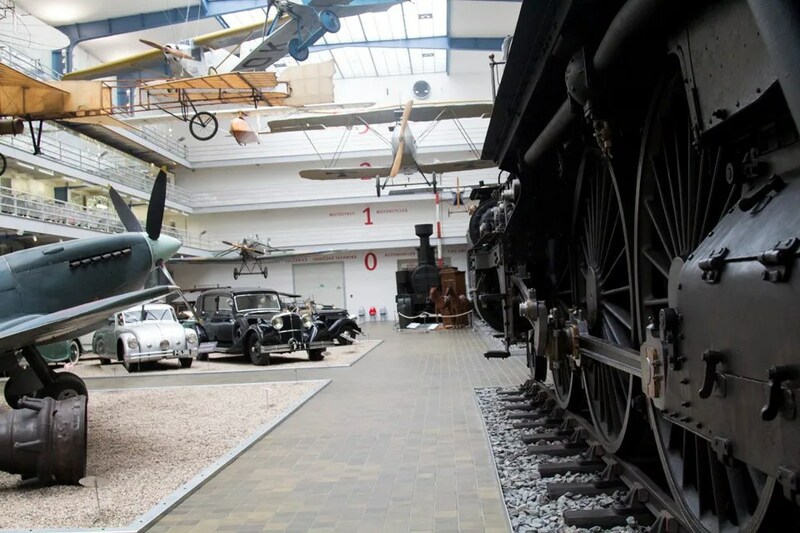 All of the machines in the transport museum have fascinating stories to tell. 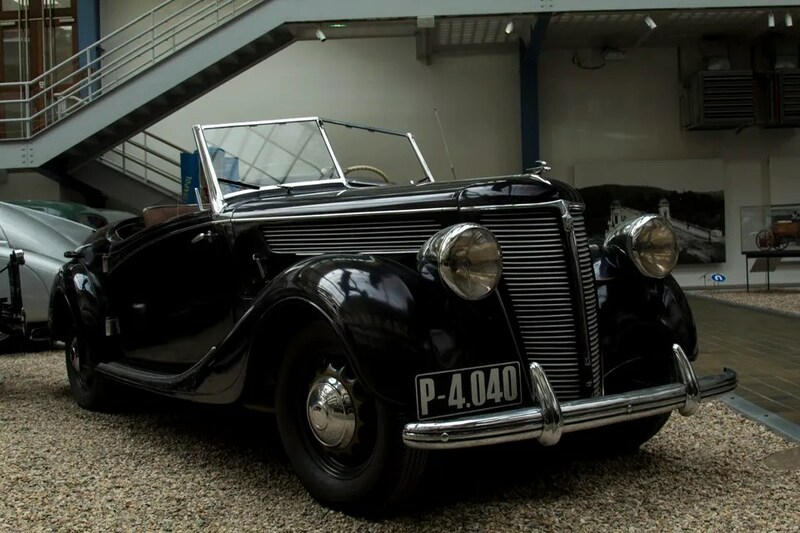 This striking 8 cylinder Mercedes 540K from 1939 is no exception. 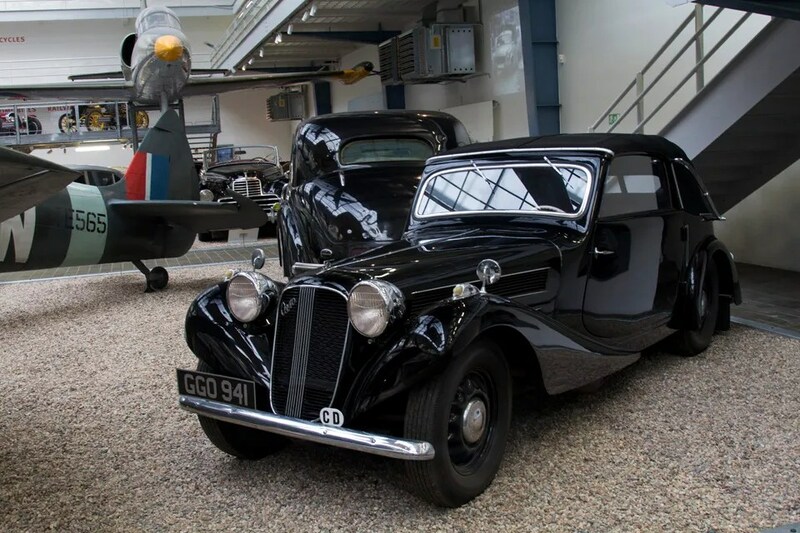 This car was the transportation of German Minister of State for Bohemia and Moravia, SS Karl Hermann Frank. 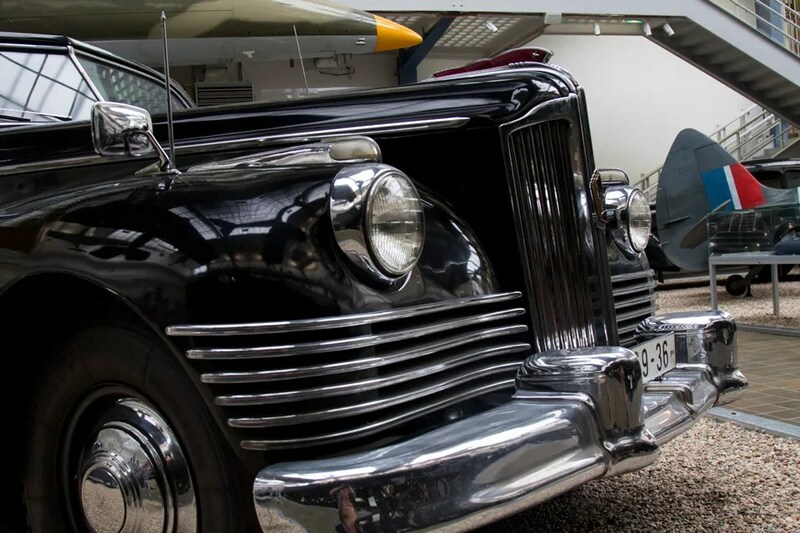 The car was originally a cabriolet but security issues necessitated the need for a bullet proof body after the assassination of the 3rd most powerful Nazi Reinhard Heydrich in Prague, in May 1942. 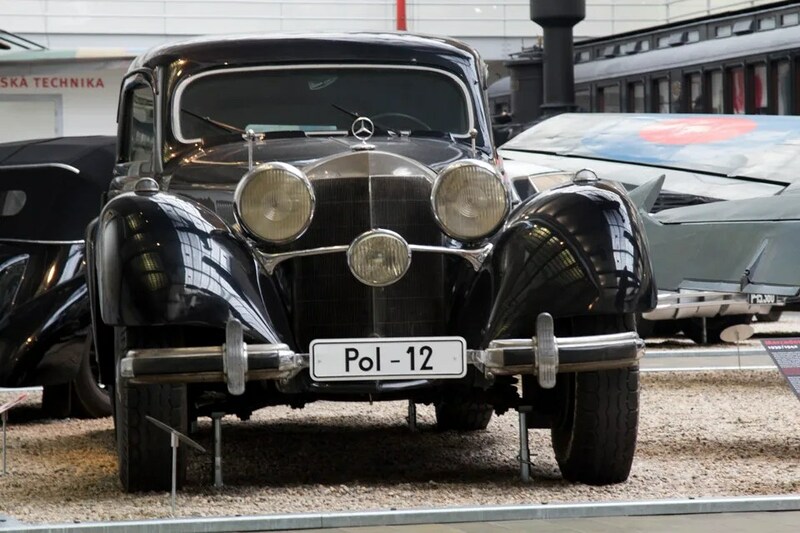 This supercharged 8 cylinder Mercedes Benz 770 from 1939/1952 remains a symbol of the Czech Republic’s history. “That’s not a Mercedes?” we hear you say. 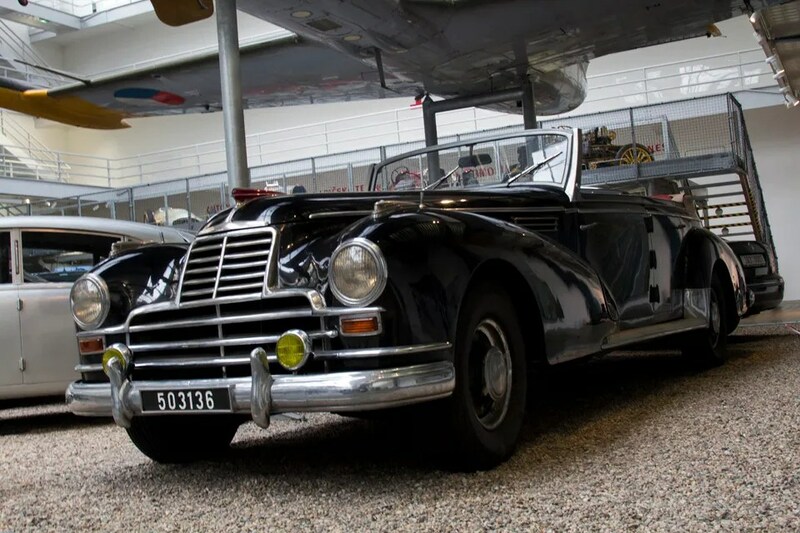 The car was originally commissioned for a German troop commander in occupied Norway during the war. 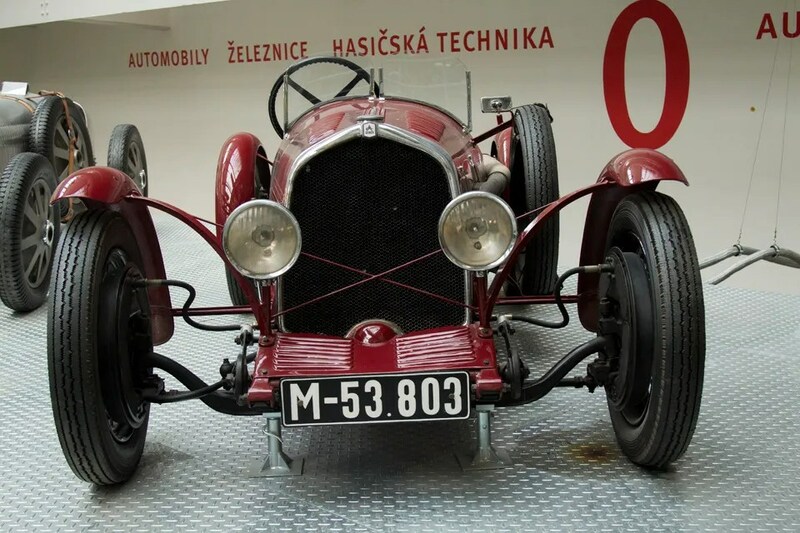 It was later used in Czechoslovakia after the war for the important state ceremonies. 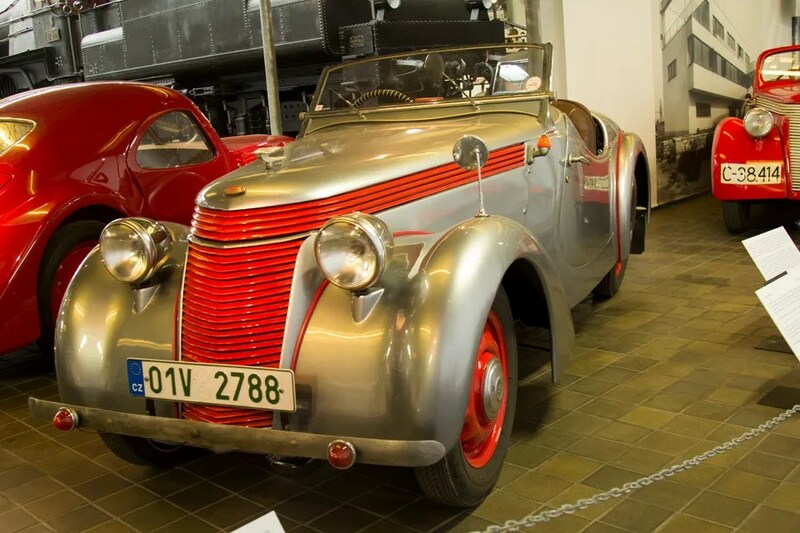 In 1948, Communists took over and rapidly took over the automotive industry. 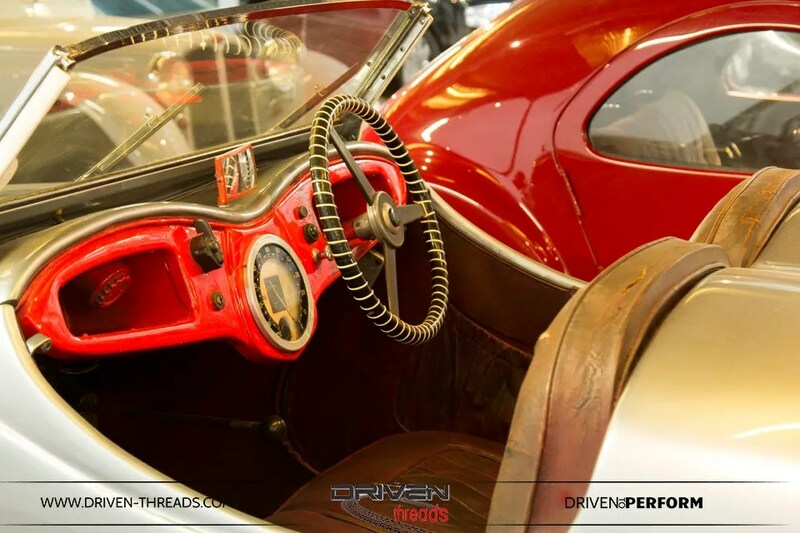 The car was then completely rebodied at the Vyske Myke Bodyworks in 1952. 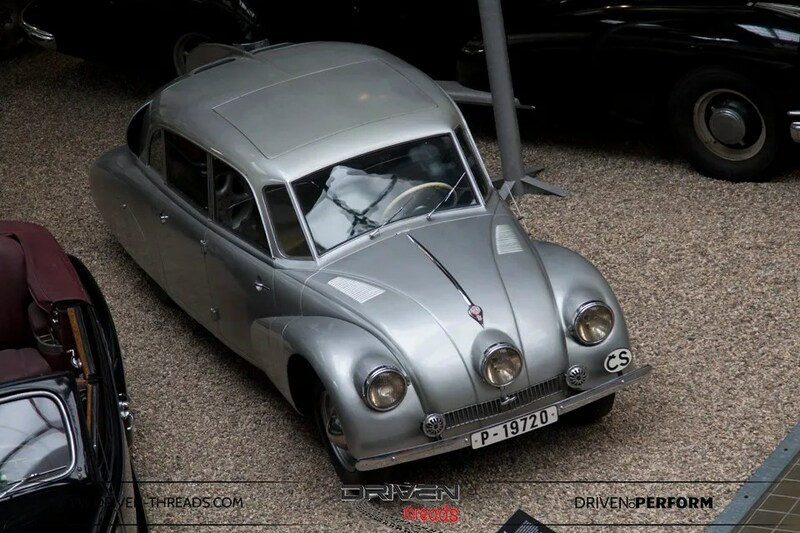 Its Soviet lines were very similar in many ways to this Zis 110B from 1952. 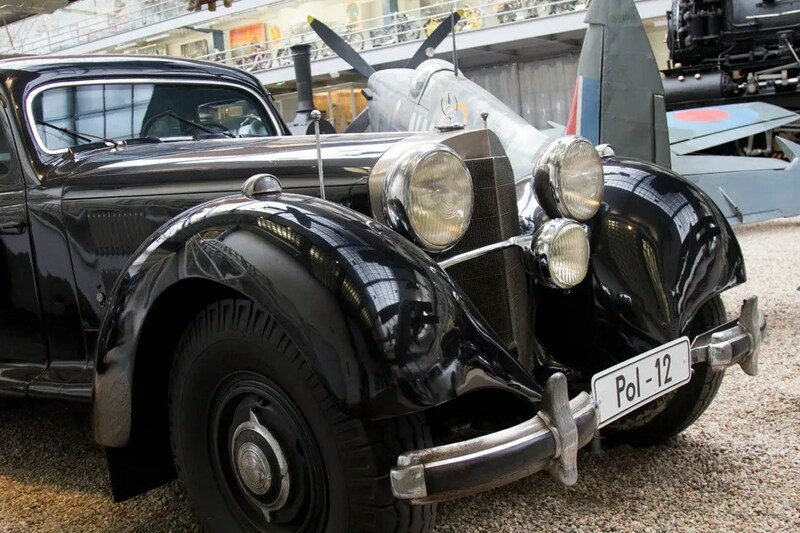 The Zis were commonly used by the Czech Military of Defense. 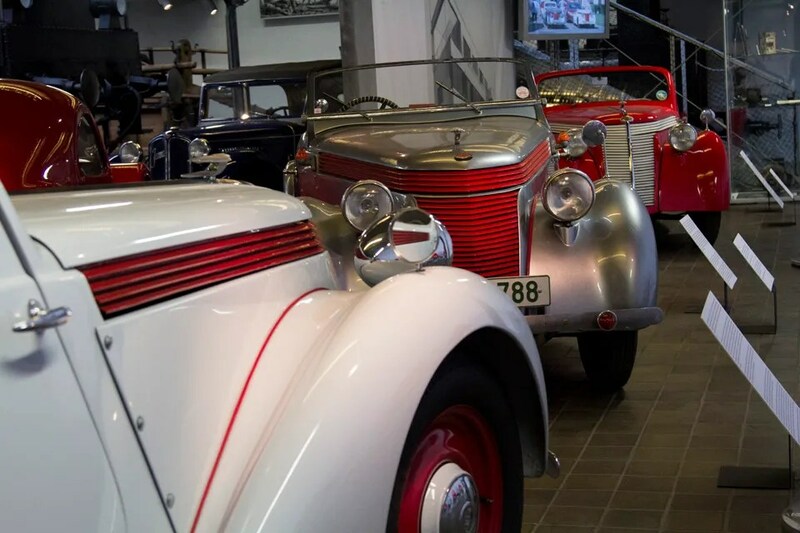 These copies of American Packards produced in Moscow became a symbol of Socialist parades during the communist era. One of our favourite machines was this Wikov 7/28 from 1929/1931. 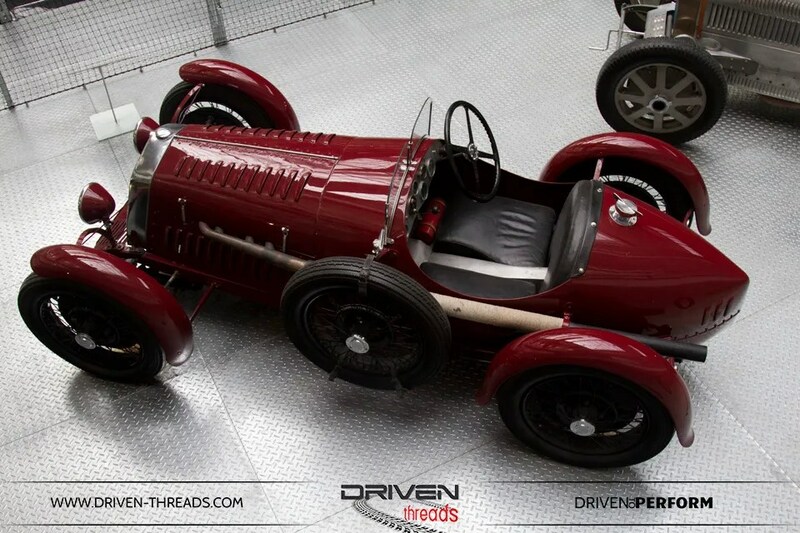 It was driven by works driver Adolf Sczyzycki came sixth in the 1.5 litre class at the 1932 Grand Prix. 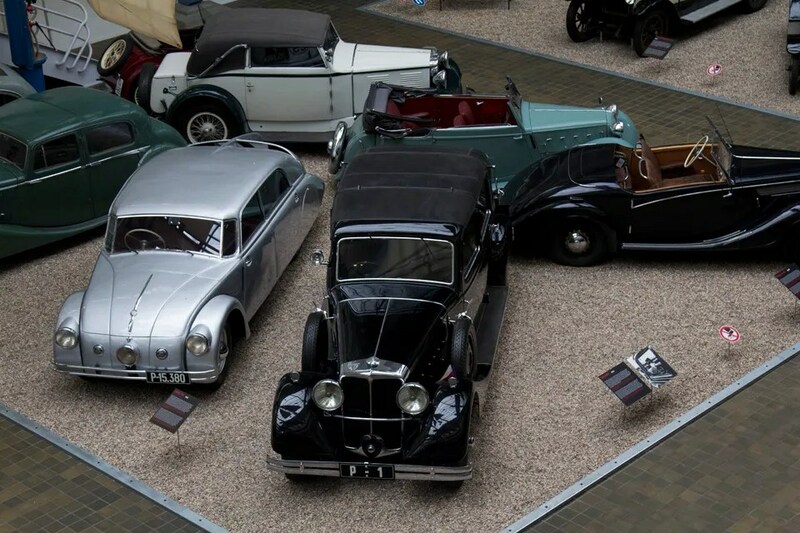 This 6 litre, 12 cylinder 1935 Tatra 80 was one of 26 cars produced. 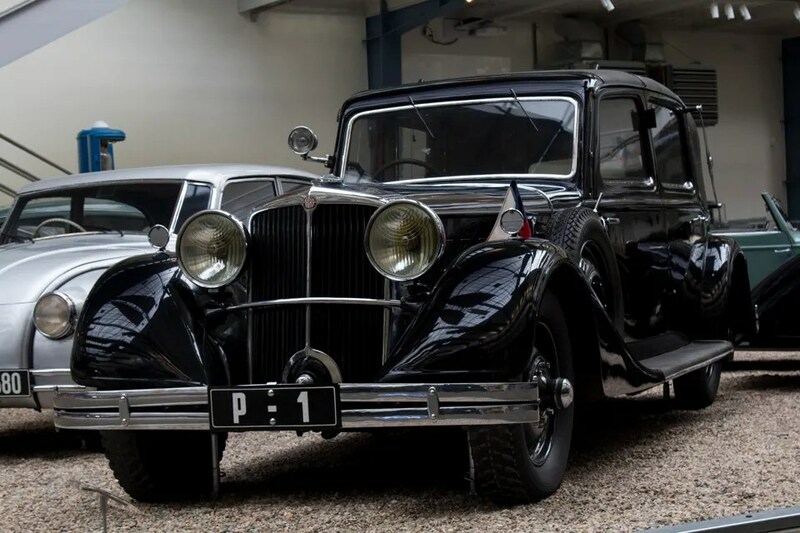 With its Landaulet body it was supplied for the first president of the Czechoslovak Republic. 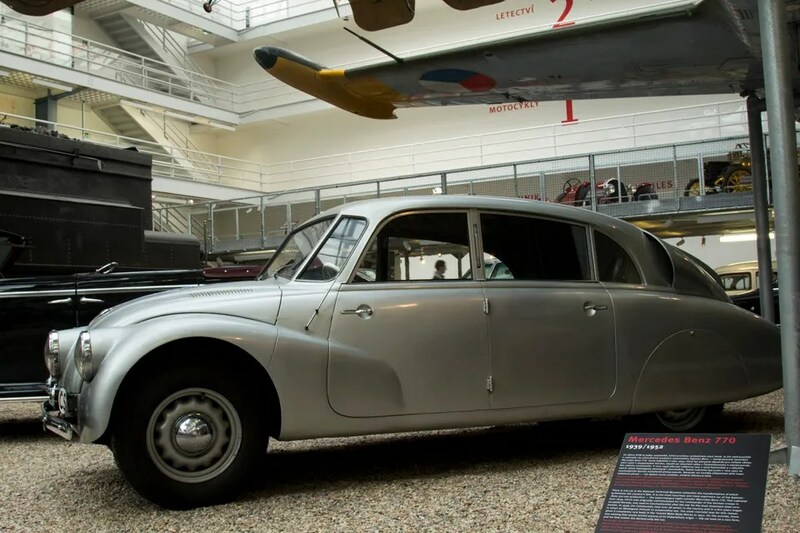 The streamlined design of the Tatra 77a 1937 was appealing to its building constructor firm owner. 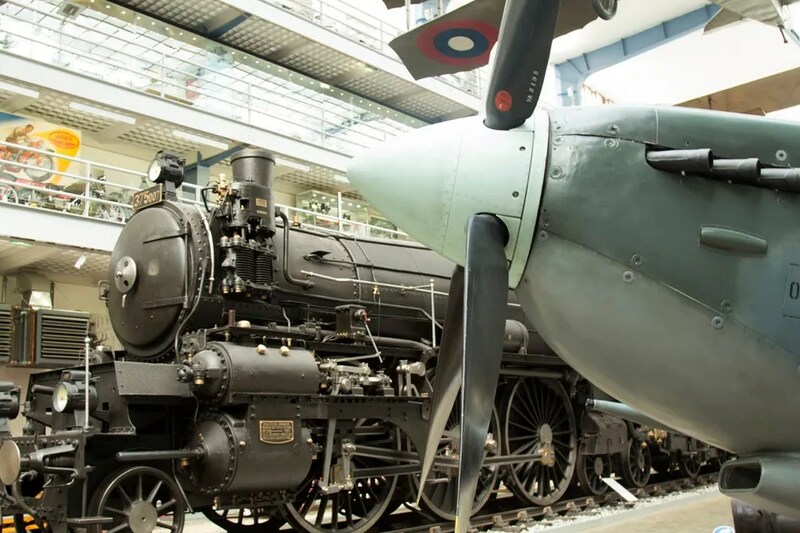 The very firm that built the National Technical Museum is which it resides. 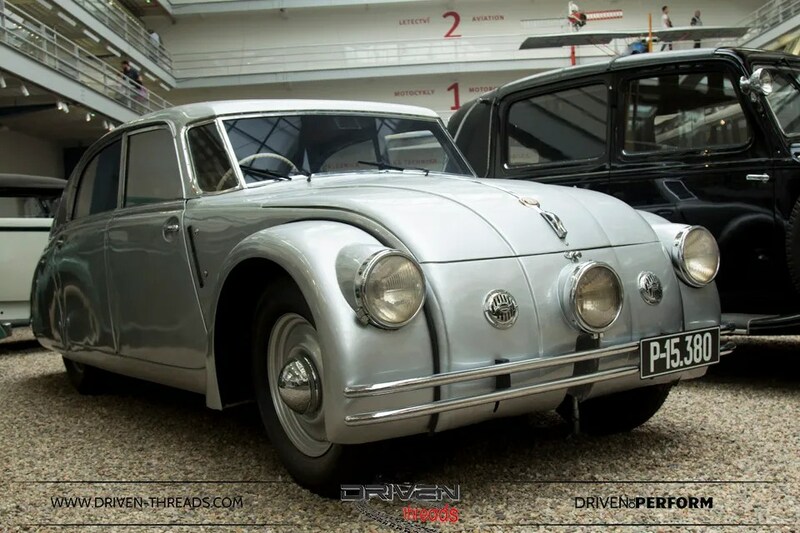 The design icon continued with the Tatra 87 from 1947. 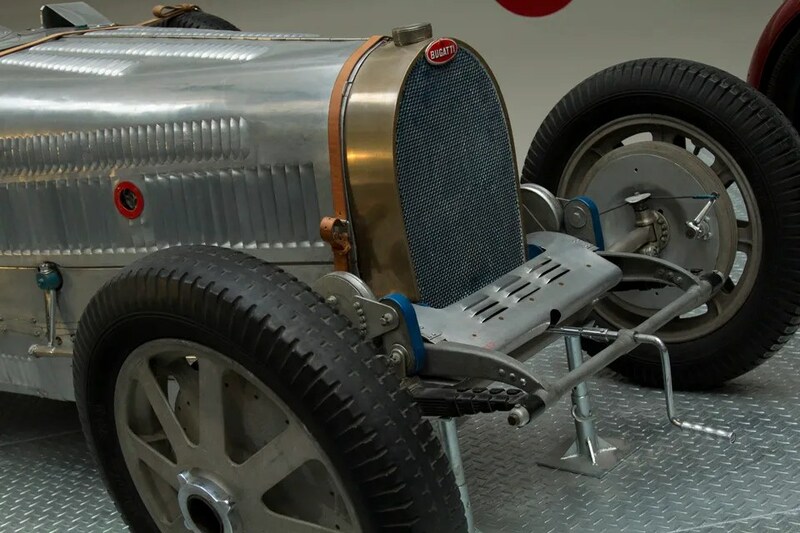 This Bugatti Type 51 from 1931 was driven by Czech Jiri Kristian Lobkovic. In September of that year he came 4th at the Grand Prix. 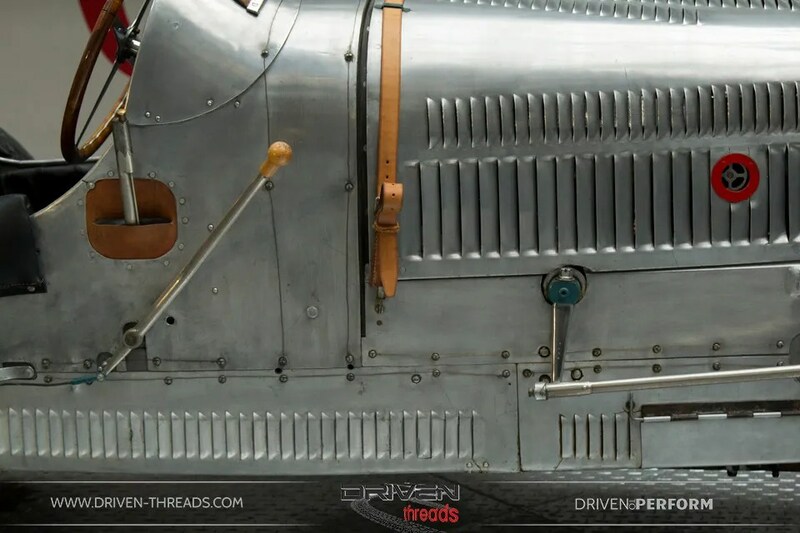 Following his tragic death the following year, the car was successfully campaigned by his friend Zdenek Pohl. 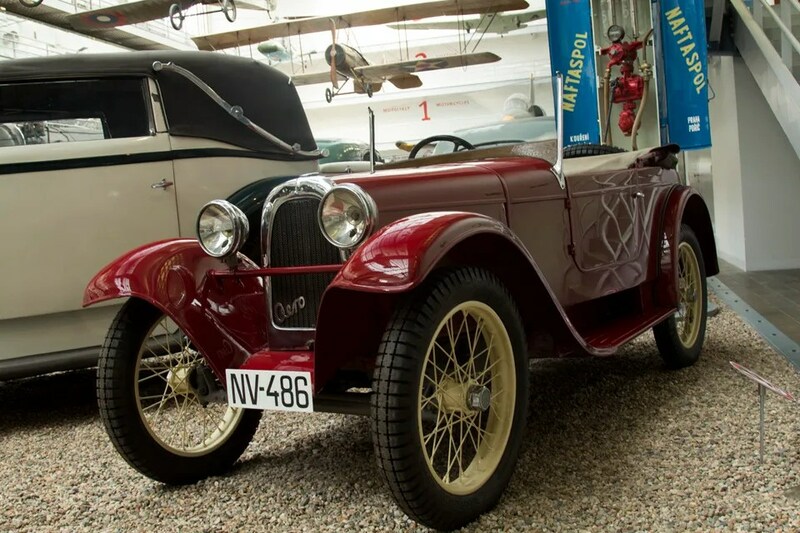 The smallest and cheapest car produced in Czech Republic was the small single cylinder Aero 10hp from 1930. 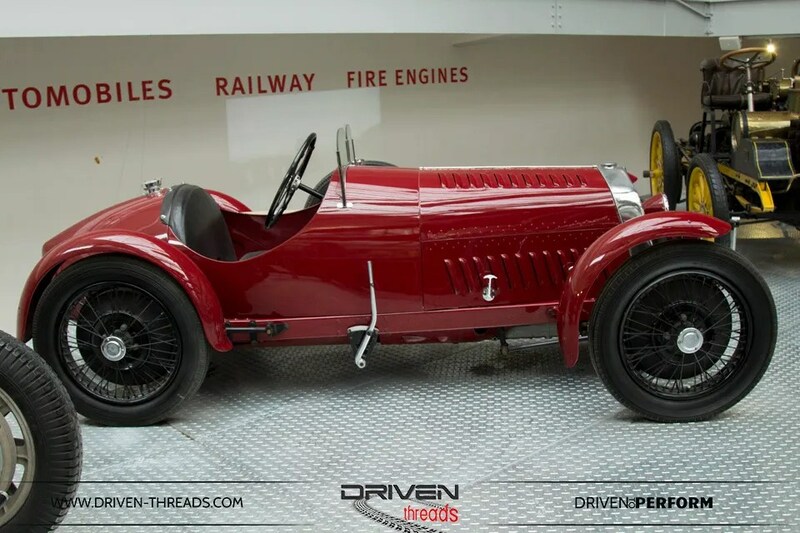 This Aero 50hp from 1939. 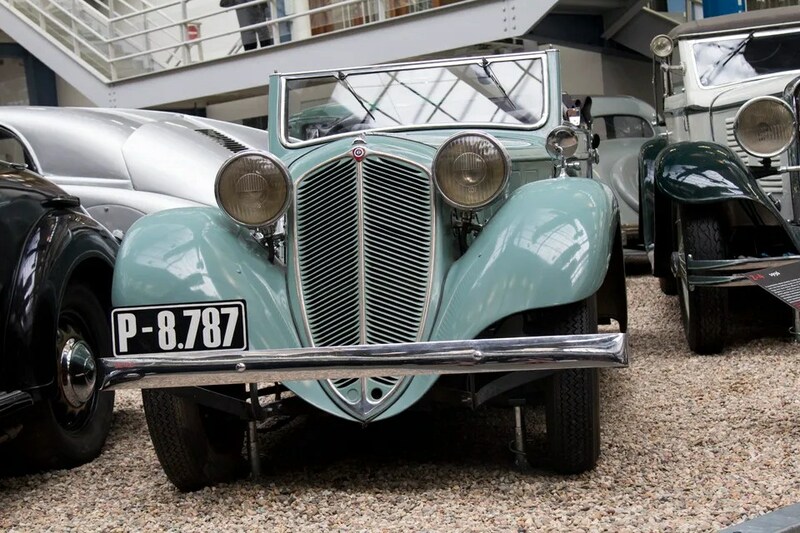 In the Autumn of 1939 this car with its Sodomka cabriolet body was assembled from the imported parts in London for Czechoslovak President in exile Edward Benes. Later during World War 2 it served the Czechoslovak diplomatic corp in Great Britain. 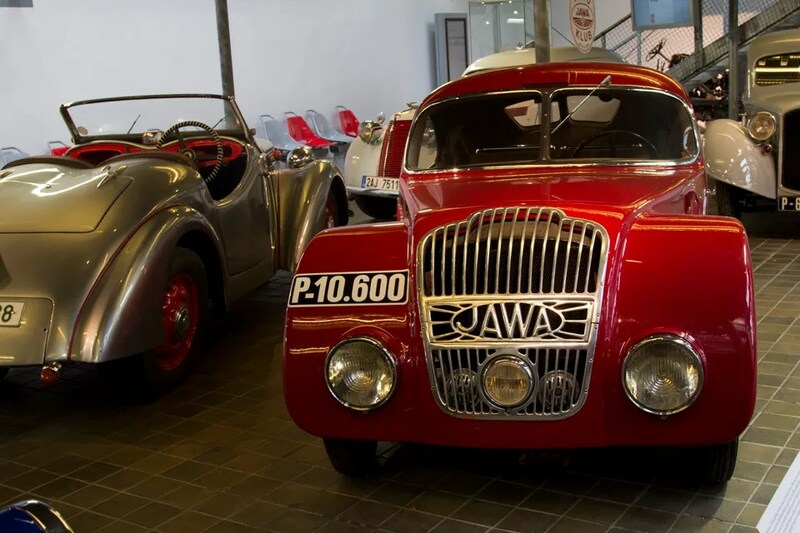 Pint-sized Jawa cars commonly featured two-stroke engines coupled with front wheel drive meaning a cheap and cheerful thirties motoring solution. 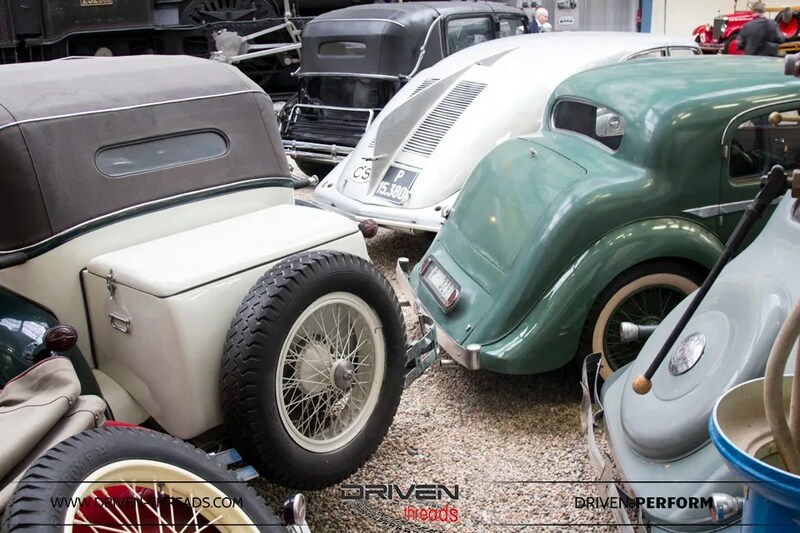 The Jawa Minor from 1938 and the Jawa 750 from 1935 were two of the most common Jawa models. 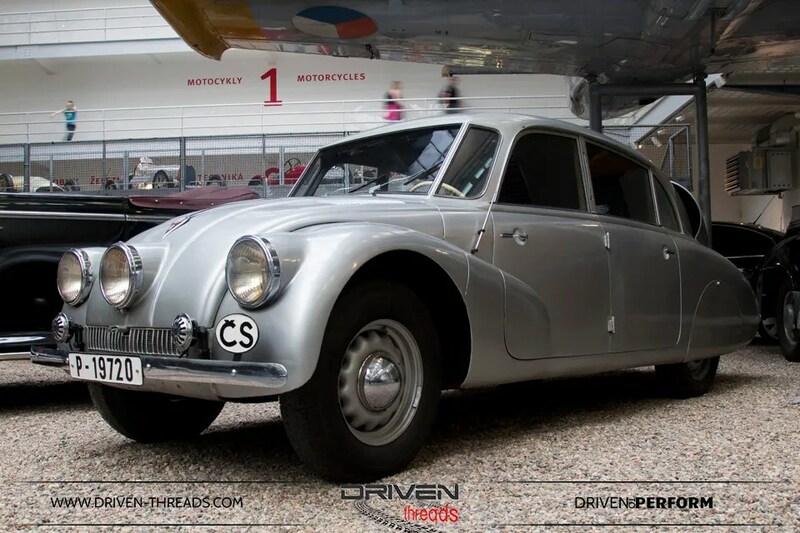 Tatra 700 from 1997 was the eighth last Tatra made and was used by the Prime Minsiter Milos Zema from 1998-2002. 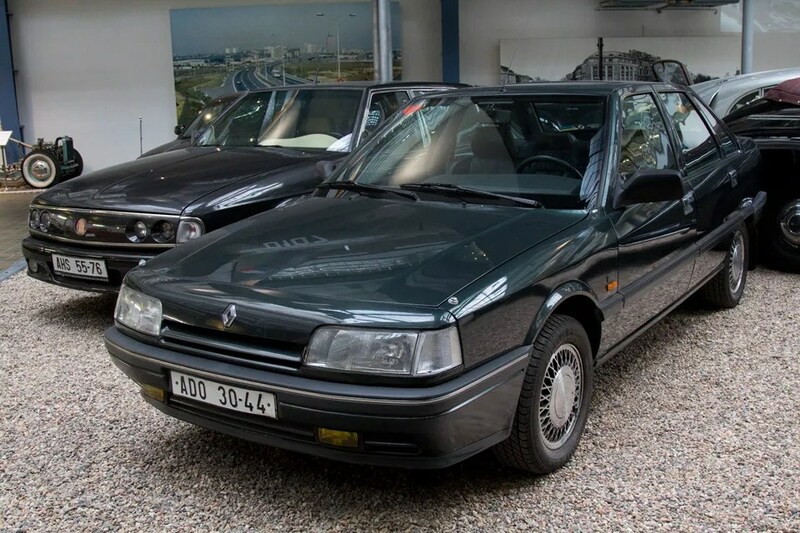 After the fall of communism, this Renault 21 TSE 1989 was a gift from the President of Portugal to the newly elected president of the Czech Republic Vaclav Havel. 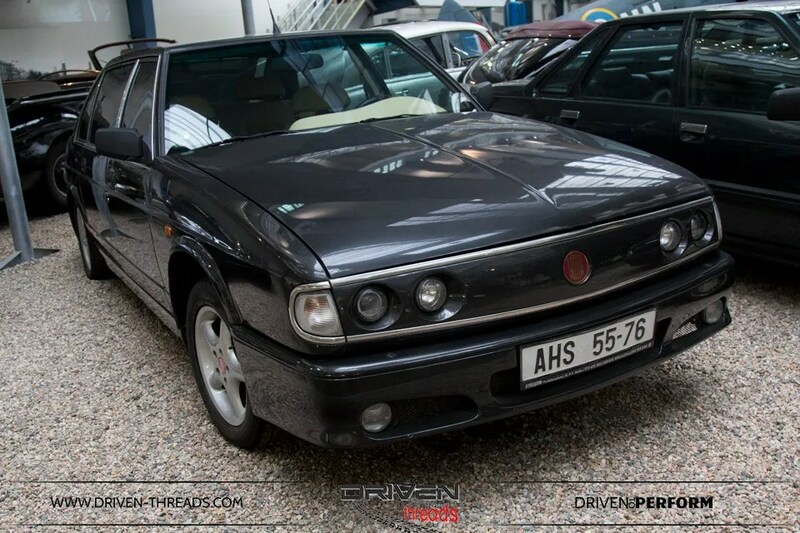 The new president refused to use the black 8 cylinder Zils and Tatras of his communist predecessor, and this ordinary family car became the official automobile for the head of state. And finally we leave with a sign of modernity. A very common sight on Czech Republic’s roads are Skodas. They are literally everywhere. 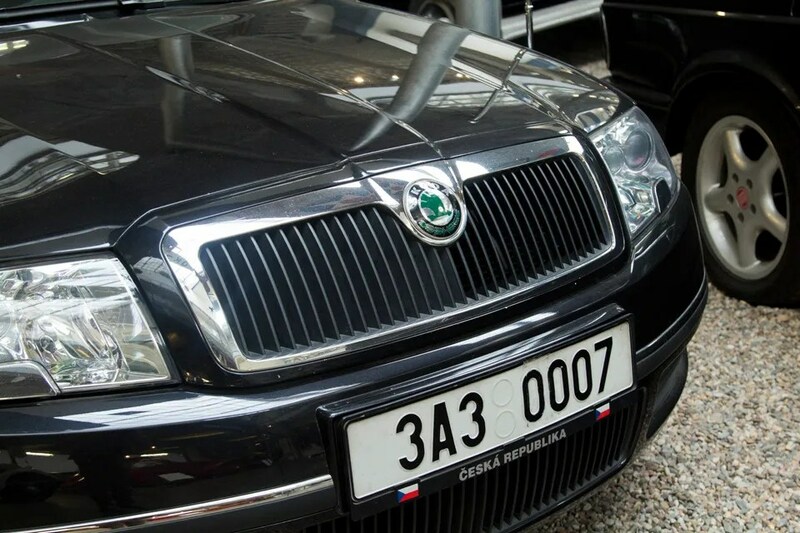 This Skoda Superb V6 from 2003 was used at Prague Castle by the president of the Czech Republic, Vaclav Klaus from 2003 to 2005. 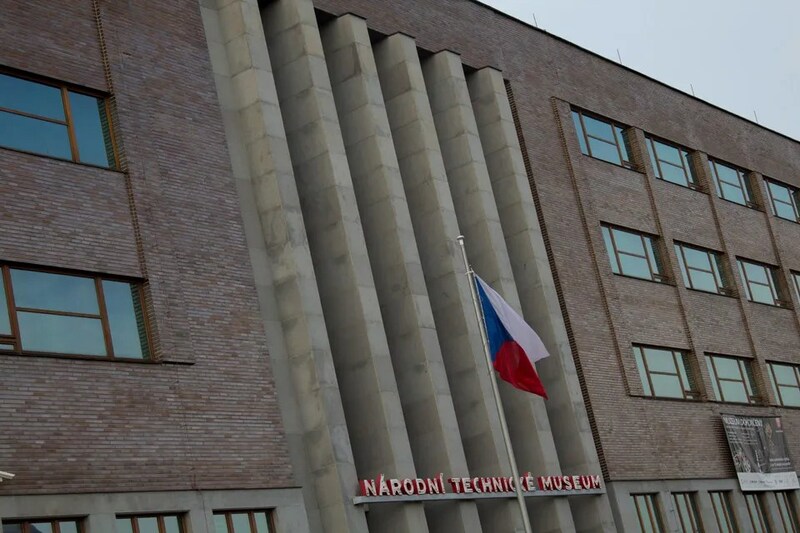 Thank you for reading our coverage of the National Technical Musuem in Prague. More coverage coming shortly. Watch this space.